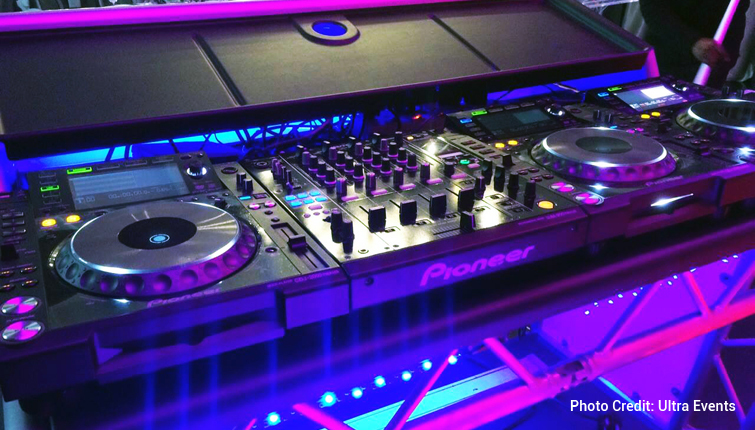 Flip the lid and start your set. 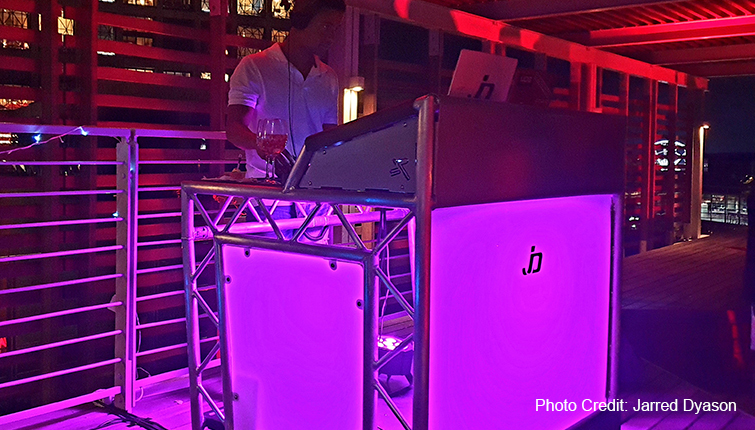 The mobile DJ carry case can be constructed out of Flight Panel™ or standard 9mm specially sourced birch plywood with Penn Elcom hardware. 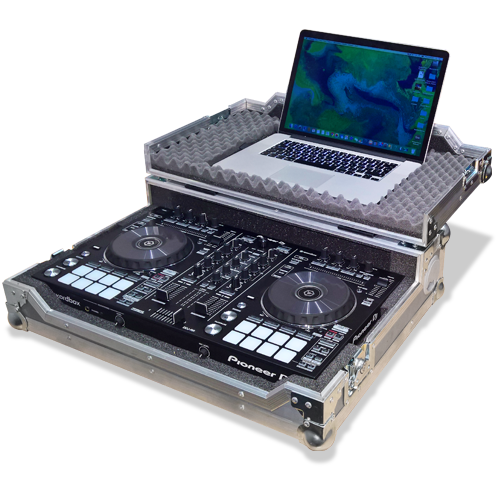 The case features a DJ controller and laptop compartment custom built and foamed to suit your gear’s specifications. 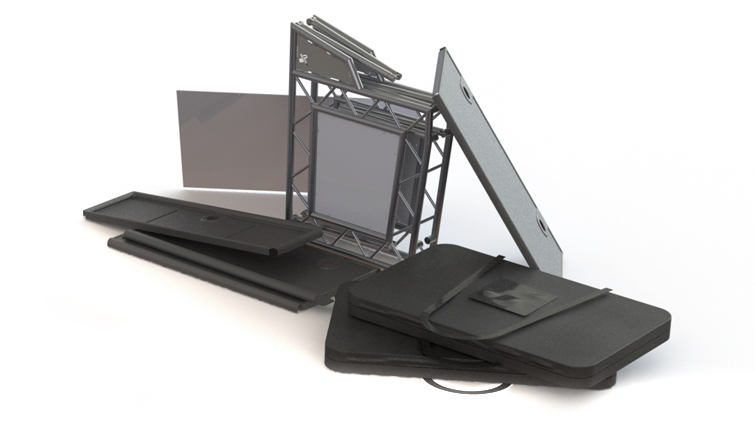 The case is easy to carry and manage, just flip the lip and begin your set! 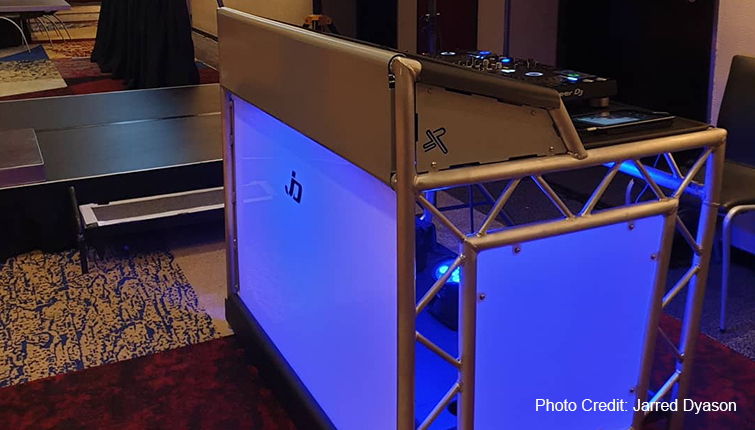 The Stage Plus Pro Stand DJ1 is made of structural grade (6082-T6) aluminium, with plexiglas facades that are great for branding your company, or event. 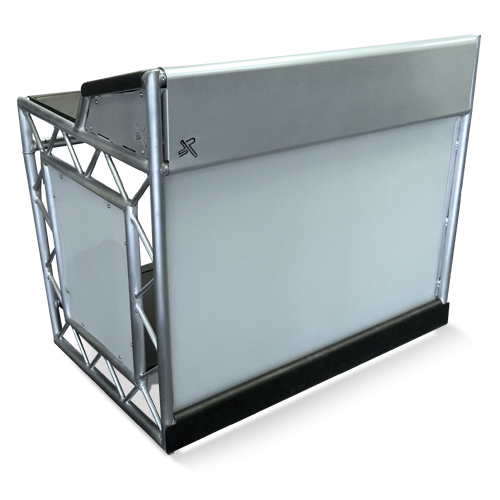 Why not brand and light up your ProStand to create a unique look and feel. 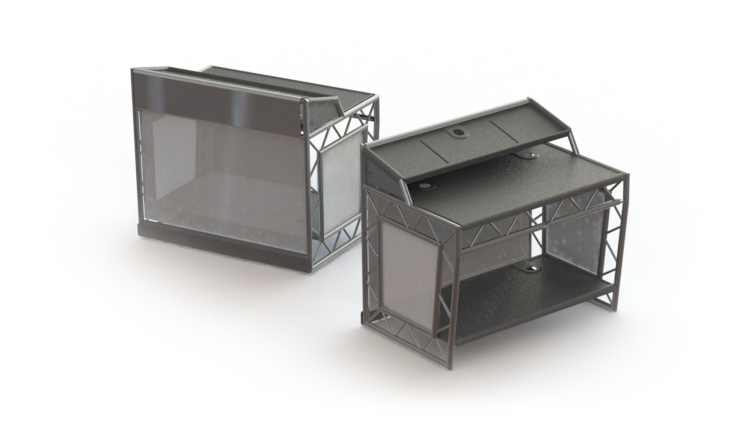 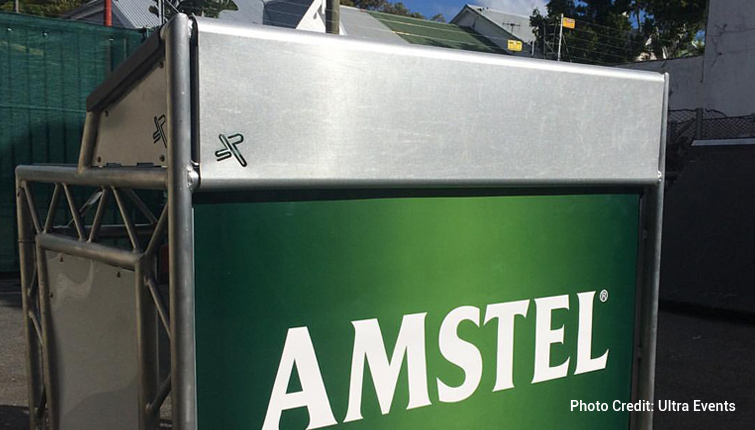 * Lighting and branding offered separately. 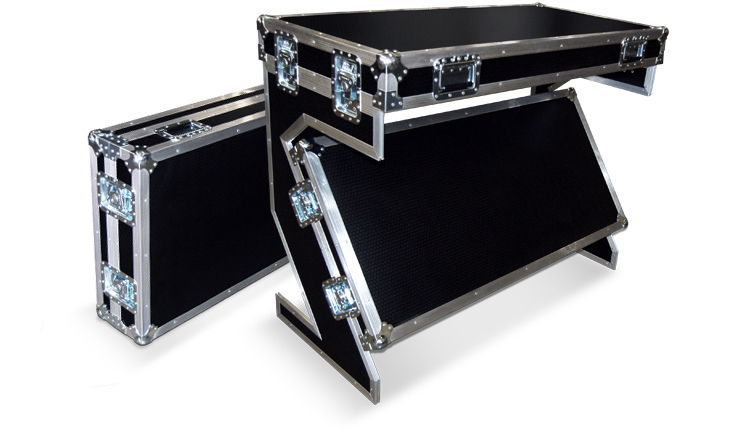 Our DJ T3 flight case is constructed out of 9mm specially sourced birch plywood and Penn Elcom hardware. 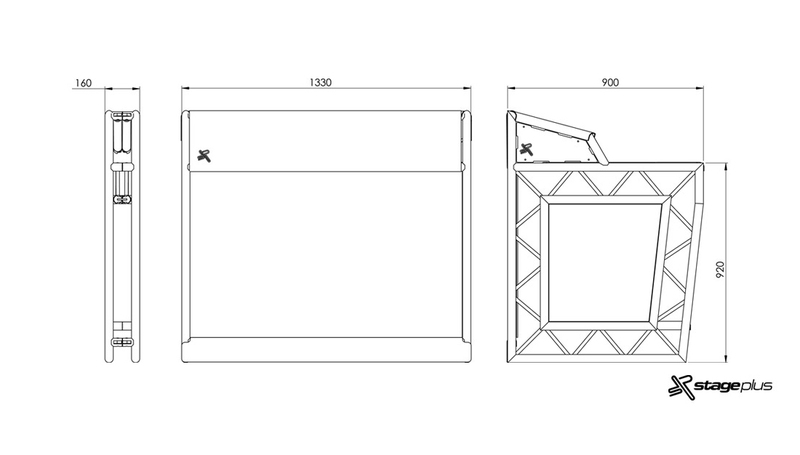 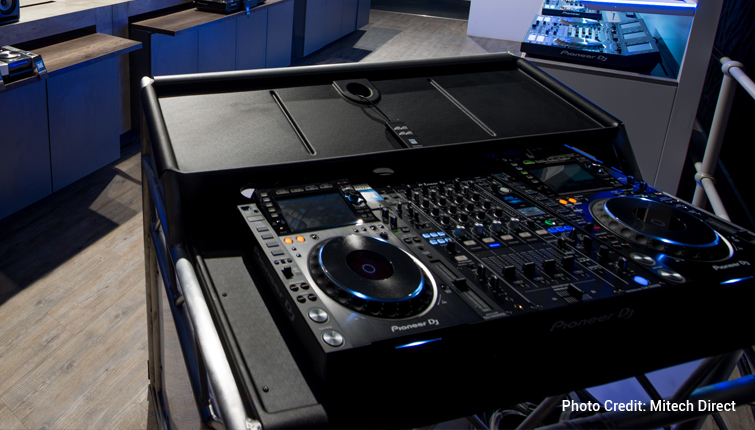 The case is easily assemble to form the ideal DJ workstation. 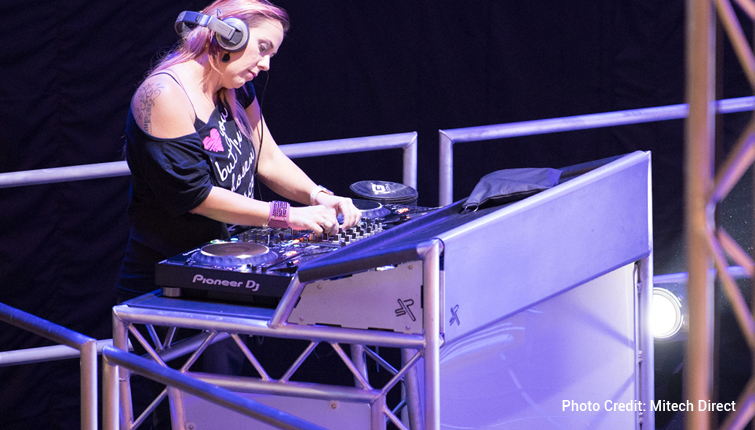 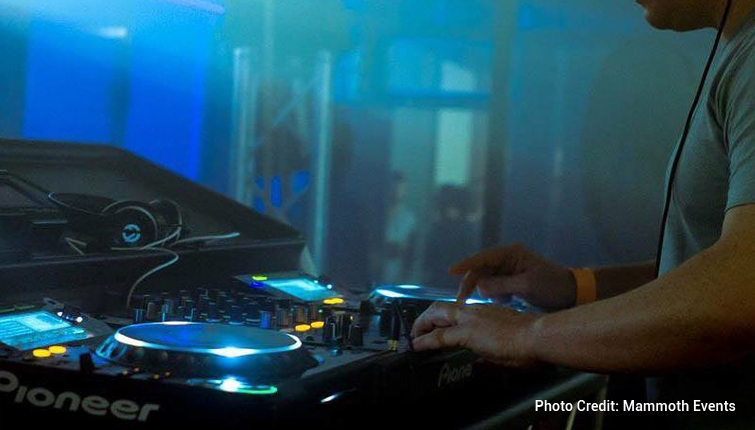 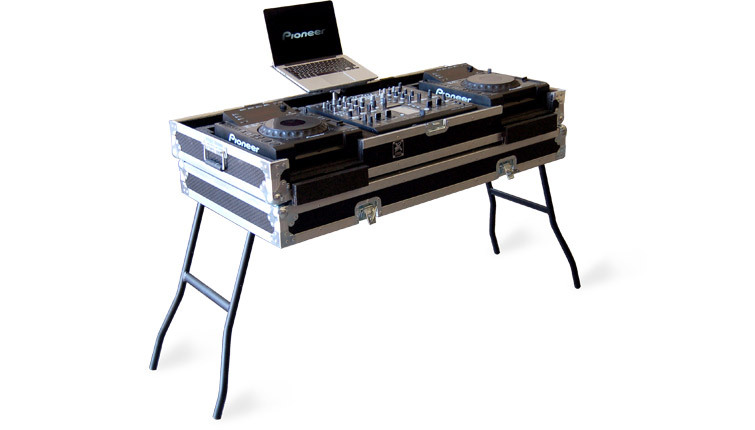 Supplying your own DJ workstation just got easier, simply walk onto site, assemble your table and get the party started! 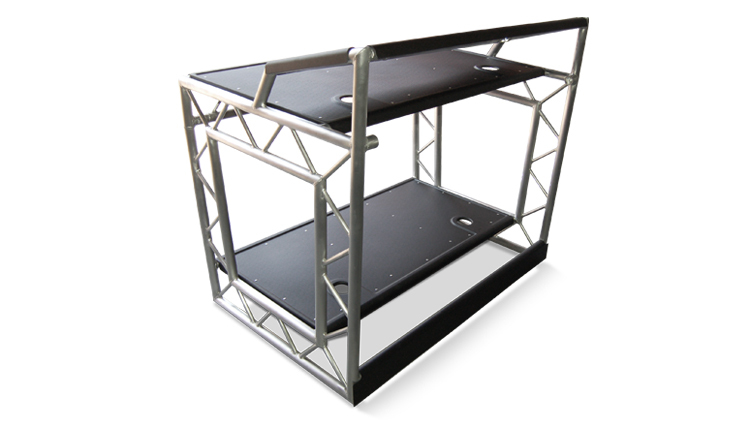 Our flight case DJ table is constructed out of 9mm specially sourced birch plywood, using Penn Elcom hardware including light weight aluminium folding legs.